We all want success, but there is one thing stopping us from achieving it. What is it? Everybody has it, nobody likes it, most get over it, and very few — those who build true wealth for themselves — embrace it, learn from it, and become even more successful because of it. Go further than just: I’m afraid I’ll fail! That thought isn’t going to solve anything. Most of the time, that very thought is what keeps you from moving forward. 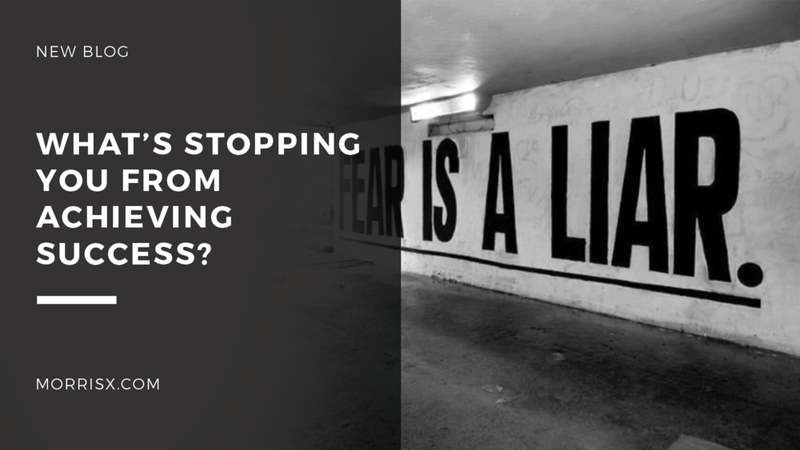 What are you specifically afraid of that will cause your supposed failure? Now that you’ve pinpointed potential reasons for your perceived failure, you can either realize your fears are unfounded and move forward or take action and begin figuring out how to prepare for, conquer, learn from, and embrace them. Most people are afraid to even think about it. They only foresee the inner humiliation and stop there. This is not a habit of wealthy people. So, it’s time for new habits. Take a moment and envision your goals, fears and all, from beginning to end. Visualize achieving your goal, visualize the hurdles, visualize solving the problem. Now, when you come to those hurdles on your path to building wealth, they won’t seem so big. Building wealth takes time, patience, and motivation. Every time you reach a new level of success, the next level could pose a different outcome. There is always going to be another door to pass that you can either walk away from because you don’t know what’s behind it, or apply the knowledge you’ve gained from past failures and open it to boldly face whatever is on the other side. So, get out of your comfort zone. It’s never done you good anyway. Embrace success and everything that comes with it.